Some of you may know I have another blog, until I created this one it hosted all my book reviews. Including one for a book called Flashfall by Jenny Moyer. I read the book back in May and the full review can be found over at The Stationery Geekette. However, the sequel Flashtide is due to be released on 14th November which I have of course pre-ordered. So I thought I’d post a copy of my review here to give everyone a reminder of just how amazing the book was. This story is about a girl called Orion. Flashfall is a dystopian novel. Orion is a caver, who is sent to mine Cirium. Cirium is the only material to protect people against the Flash curtain which causes radiation. However, things are not as they seem and Orion learns more about life on the other side of the Flash curtain and takes actions to secure her freedom. 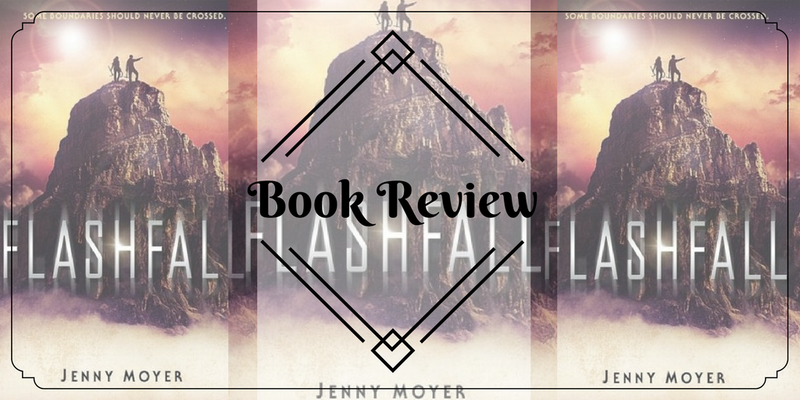 What did I think of Flashfall? I think the answer to that question is..AMAZING! Honestly, I absolutely loved it. I had seen this book about a lot before I got a copy, and I didn’t really know much about it. I challenged myself to not read the blurb so I actually thought it was a sci-fi book. I really loved the character of Orion. I loved her spark, how she didn’t give up despite everything they threw at her and everything they tried to take away. It wasn’t one of those generic ‘Yay they did’ it journey’s. Every time one thing good thing happened, three bad things happened. As the end of the book approached I didn’t think there was going to be a good end at all. There is an under current of a romance with Dram, a lifelong friend and Orion’s counterpart in the caves. Dram tries to play the hero to Orion but more often than not they save each other. The writing flows so well and eases, chapter to chapter before you know it you’ve read about 5 chapters and didn’t even notice. It’s safe to say I will be getting the sequel to Flashfall. I would rate this book 5 out of 5 stars. Flashfall is fresh, different and not your typical heroine’s journey. This book gets an almighty 5 stars from me.